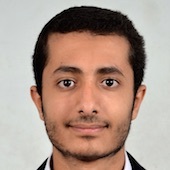 Osama is a Biomedical Engineer who works for two private companies in the field of renal replacement therapy, and the field of Audiology and balance assessment equipment. Osama holds a bachelor degree in Biomedical Engineering. His fields of interest include biosensors, biomedical electronics,and simulation of biomedical systems. Osama loves to read about latest technologies and innovations especially in the field of medical technology. In his free time, Osama loves to participate in volunteering activities.